Food Costs > How Much Does Barley Cost? How Much Does Barley Cost? A grass, such as barley, has plenty of uses. It is used mainly for animal fodder, but it is also used as a base malt for beers as well as soups and barley bread. The cost of barley will depend on the type of barley, the amount being purchased, the brand and where it’s purchased. On average, a 4-pound bag of malted barley can cost $4 to $7, while a 25-pound bag will cost $26 to $40. A 50-pound bag of malted barley can cost $50 to $75. A small 30-ounce package of pearl barley, which is used in soups, salads, cereal and stuffing, can cost $8 to $10. Dry barley harvested in its natural state can cost $9 to $12 for 16 ounces. Barley is also processed as flour to make barley bread and other food which asks for flour. Organic barley flour, which commonly comes in 24-ounce bags, can cost $3 to $7. Barley grass, a barley power used to create juice, can cost $14 to $20 for about five ounces. This will depend on the brand. Hulled barley can cost $6 to $9 per pound. Organic barley seeds, which is used to grow barley grass for juicing, flour, and beer, can cost $7 to $13 for a four to six-pound package. As for the bushel, the costs will depend on the market conditions. Since 2013, the farm price has been in the $4.50 to $6.50 per bushel range. The price will depend on three components: the cost of barley, transportation costs and utilities. This grass is the seedling of a barley plant. Usually harvested six months after germination, the grass will be close to 12 inches tall. This grass is filled with many minerals, antioxidants, amino acids and vitamins. It also has high levels of chlorophyll, an ingredient that helps detoxify your body’s harmful toxins. This is the powder of barley grass as mentioned prior. This green powder, depending on the brand, may be mixed with other minerals and/or nutrients to offer many medicinal benefits and is often mixed with water to create a barley juice. Used as an alternative to traditional flour, barley flour is the flour found from whole barley. This flour will be richer in nutrition since the bran remains intact during production, and it’s known for a nutty, mild flavor, and when compared to traditional flour, it has fewer calories and higher levels of fiber. Commonly found in grocery stores, pearl barley is one of the most popular ingredients used in cooking recipes. This barley is hulled barley that has been processed with the bran removed. It’s often found in barley products like flakes and flours to create an oatmeal-like texture. Larger bags purchased online can often incur additional shipping costs. 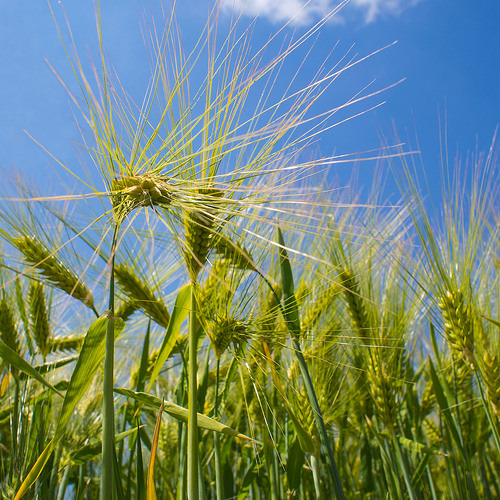 Malted barley is considered a specialty crop and is often limited in production. Most of your major beer brands will be tied to specific flavors. Barley is one of the best grains for foods such as soups. Since it can absorb flavors, it can also act as a natural thickener. Barley can be served as a side dish seasoned with salt and pepper. Need inspiration for your next barley meal? AllRecipes.com has hundreds of barley-related recipes ranging from pasta with cilantro pesto to barley mushroom risotto. Barley pasta is able to lower cholesterol. Researchers from the University of California had found that after four hours of consuming barley pasta, those who ate it had a significantly lower cholesterol concentration. The slow digestion may also help with weight control. Some varieties such as Prowashonupana were found to be high in beta-glucan, which could help it move slower through the digestive track. According to a Texas Children’s Hospital study, researchers found this barley may be appropriate for obese patients. It helps control blood sugar. Able to lower glycemic index. Insulin responds better with barley beta-glucan. It can help reduce your blood pressure. Lowers serum lipids and significantly improves lipids. Consider purchasing from a local farmer’s market to receive the highest of quality and best prices. Oftentimes, these markets can be cheaper than your local grocery store.